If you spend 25 nights or more each year traveling to Chicago and in need of hotel accommodations, you're invited for consideration to our executive travel program. With an established business travel account, you'll receive a number privileges. 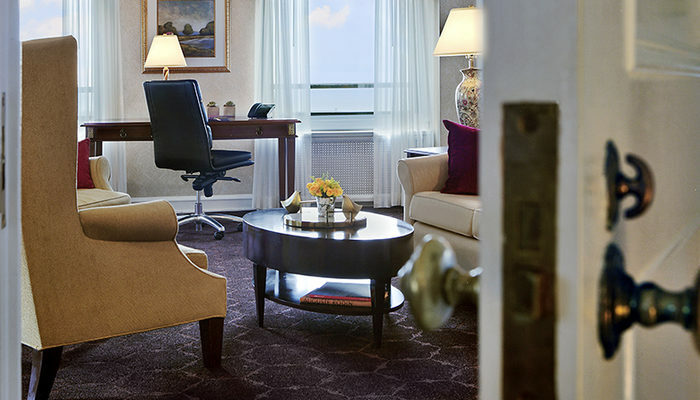 Overlooking Lake Michigan with direct access to Oak Street Beach, The Drake, a Hilton Hotel anchors the north end of The Magnificent Mile fashion district and illuminates Lake Shore Drive with its iconic, lavender marquee. A defining feature to the Chicago skyline and a warm welcome to your REAL CHICAGO business experience in the heart of downtown. At the pulse of Chicago business centers, you’ll be surrounded by top client entertaining establishments. Our team is dedicated to your every need, whether it be a last minute tailoring need, administrative assistance to having a warm meal awaiting your evening arrival back to the hotel. Our mainstay is to assist with an uninterrupted and intuitive experience. To establish your business travel account, kindly contact Erica Thomas, Business Travel Sales Manager.